This is the full transcript of an interview DI conducted with Donuts chief operating officer Richard Tindal, January 23, 2015 which covers Donuts plans to market its huge portfolio of new gTLDs in 2015. Additional topics include search engine optimization, smart search, registrar relations and the potential impact of dot-brands. It’s been lightly edited for clarity and readability. DI: Before we talk about 2015, let’s recap 2014 from your point of view. Richard Tindal: We found 2014 to be very successful, certainly for us and certainly for the program. The sorts of volumes that have been seen are in line with our expectations. If you break down the types of registrants, the types of people who have been buying the names, you can see things that do not surprise us. 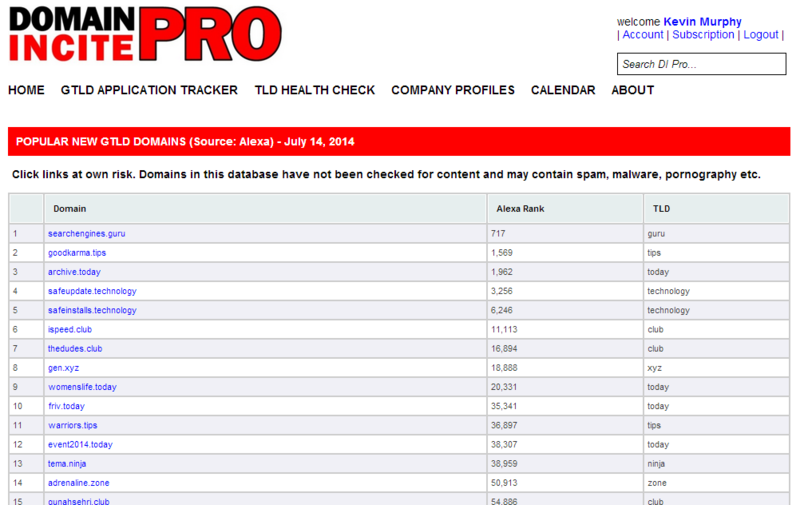 Very, very low levels of trademark protection activity. We expected that, and it’s actually even lower than we expected it and we expected very low levels. So, that was not surprising to us. That sort of segment of buying is not really a sustainable part of the business. It is not what we are in business to get — and nor are other registries — those protectors. They certainly did not turn up in any numbers and that did not surprise us in any regard. There are really three segments, I think: the protectors, the investors, and then the end users who are typically companies using them. So, the investors certainly turned up. They turned up more heavily, I think, in the first months. Of course we think of this as one product. We do not view it as a collection of individual, different products, all the different TLDs, but rather a “category”, if you like. We think the category got good adoption. The investors certainly turned up. In our view, it is good to have domain investors in there, but not too many. It is a bit of a balance. You want the bulk of your population of names to be owned by businesses and users, but certainly domain investors play an important role because they are a sort of catalyst, if you like. They become an unpaid sales force out there and spread the word, and certainly a lot of the investors have sold names and there has been some good price appreciation for those that have. 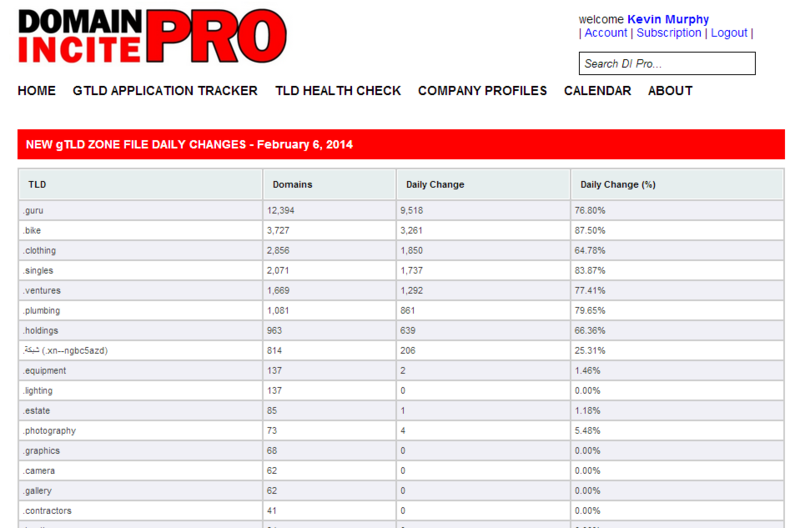 DI PRO subscribers from today can track daily changes in new gTLD registration volumes. The New gTLD Zone File Report is a simple, sortable table showing how each new gTLD has performed over the last 24 hours. It’s the database I’ve been using for DI’s analysis of Donuts’ landrush numbers over the last week, but I’ve received a few requests to make the data available in a more structured way. The data is also being incorporated into the next TLD Health Check update too, enabling longer-term views and interactive charts. More on that in due course. DI PRO subscribers also receive access to the New gTLD Application Tracker, a calendar of crucial new gTLD launch dates, the New gTLD Collisions Database and many more useful services.